It looks like Google is bent on diversifying its businesses as it moves further into hardware. In fact, its latest billion dollar deal suggests the company is determined to stake its claim in the smartphone market which inevitably puts it on the warpath with Apple’s iPhone. Google’s intention to join the hardware fray could not get any clearer. On Wednesday, the tech giant announced that it has entered into a $1.1 billion arrangement with Taiwan’s HTC, a deal which will effectively let Google hire a sizable part of HTC’s engineering team, tapping into their hardware expertise. While it was not stated just how many HTC engineers will now be working for Google, HTC chief financial officer Peter Shen revealed that the company’s research and design team will now be reduced to just 2,000, down from the 4,000 manpower complement before the deal. However, the deal won’t likely hurt HTC’s operations as the estimated 2,000 employees affected by the deal were already working on Google’s Pixel smartphones, which were manufactured by HTC. The latest move is in line with Google’s push to make it big in the smartphone and gadgets segment. In 2016, the company hired ex-Motorola chief Rick Osterloh to helm its new hardware division. 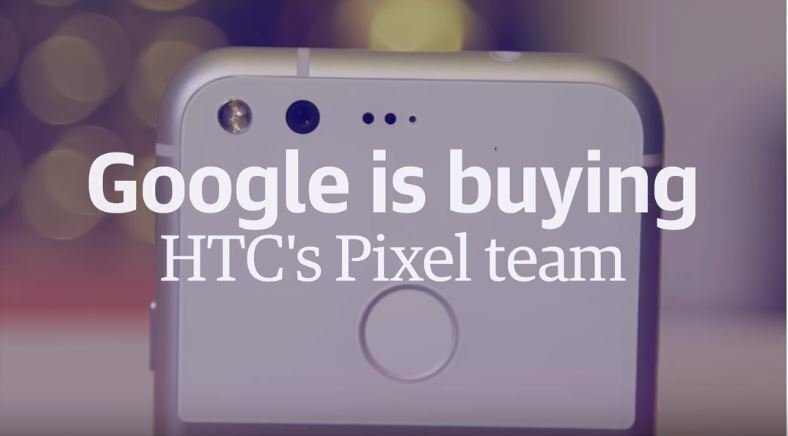 A few months later Google announced the arrival of Pixel devices which were made with the help of HTC. But with half of HTC’s engineers at its beck and call, Google’s bid to be among the top hardware players has become very serious. Effectively, the arrangement will allow the company to manufacture its own range of devices, which could make it serious competition for rivals Apple and Samsung. But the potential rift between Apple and Google is expected to go beyond mere smartphone sales figures. According to The Verge, Apple is actually in the way of Google’s ambition to be on every device connected to the internet. As everyone knows, Apple has its own set of apps and software that has allowed it to remain independent of Google. Aside from running on its own operating system, it has its own Apple App Store, Apple Music, iCloud and its own smartphone, the iPhone line. In addition, Apple’s personal assistant Siri searches the web using Bing rather the Google search engine. And that is where Google would likely make its attack. By making its own suite of devices that ran only in Android, consumers will have no choice but to shun Apple applications. But to dislodging the well-entrenched Apple, with its horde of loyal customers, will not be a walk in the park for Google and would depend largely on whether or not its upcoming gadgets will outshine the iconic iPhone.